For a second, just give it a thought that you have captured fantastic moments with your smart phone, and it gets broken accidentally. Have you ever broken or cracked your Smartphone's screen and failed to find a way to get data and media off the device? Or the data gets wiped accidentally? Worried? Well, you are at the right place then. What happens is when images are erased or formatted from your device, they are not forever lost. Just the space occupied is marked for reuse for new files, and you can still recover them. Moreover, there's, even more, the possibility of recovering data from a broken device using a data recovery and extraction software. 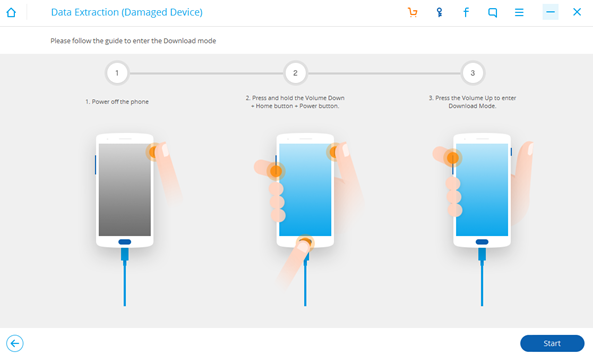 Fortunately, today we're here to help you restore all those precious images, videos, and files from your broken or damaged Samsung Galaxy phone using the FORecovery Data Extraction Software. So, without any more discussion, let's get started. 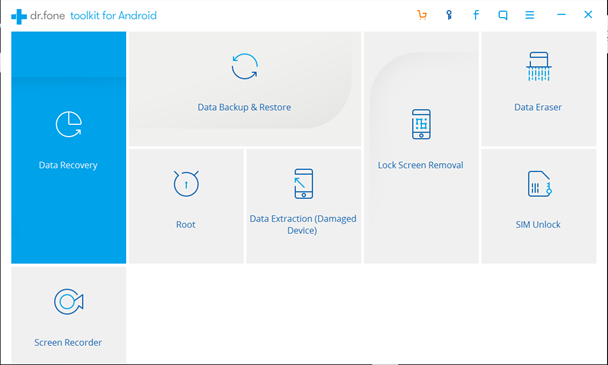 FORecovery is a leading software company which provides data recovery and extraction software for Samsung Smartphones, other Android Smartphones, and iPhones as well. The FORecovery Data Extraction tool that we’re going to review today specializes in restoring photos, videos, contacts, documents, chats, and other important data and media files. The need occurred when I accidentally dropped my Samsung Galaxy S6 on the floor and sadly, the screen got shattered. However, the phone is still booting up, but it doesn’t display anything on the screen. With so many important documents, and private photos, videos that I didn’t backup on the cloud. Lucky for me, the software worked efficiently in multiple situations like if your smartphone is damaged from water, black screen, touch not responding or bricked devices during upgrades. Moreover, you can also extract data from the locked device after forgotten passwords. Even though the company offers so many premium tools, it also provides the free trial for most of its data recovery tools. You can download the Data Extraction tool for Android free from the official FORecovery website. Currently, the tool exclusively supports Samsung smartphones. The free trial is available for both Windows and Mac Powered systems and supports the latest Windows 10/8.1/8/7/Vista/XP and Mac OS X 10.7 and later versions. After downloading, FORecovery Android Data Extraction tool, the installation process only takes up few minutes and requires minimum specifications from your PC or MacBook. After installing, open the Android Data Extraction tool and in the middle of the software and connect your Samsung Galaxy smartphone to the system via the USB cable. If you're able to see any notification on your phone requiring USB debugging allowance, just tap on “OK” to move on. Select the files you want to recover, and there are eight sub-formats that you can select and restore, like Contacts, Call history, WhatsApp messages, Messaging, & attachments, Gallery, Audio, Video, and relevant documents. 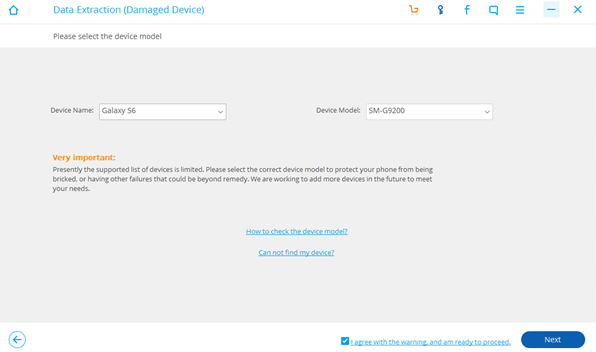 Next up is to describe your device's condition by selecting from the two possible options. The Data Extraction tool pops up two distinct “Touch doesn’t work or cannot access the phone” and the “Black/broken screen”. Select one of the followings and progress. Next, you need to choose the model of your smartphone so the Extraction tool would be able to restore the data more efficiently. Likewise, I selected my Samsung Galaxy S6. 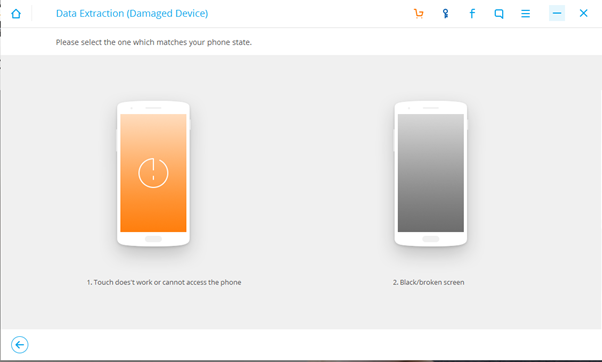 You can also skip the device selection step if you're confused. Now, just confirm device selection by typing 'confirm' & you're done. You can now boot your device into the Download Mode if the phone is visible or not. Just power off your smartphone and press and hold the Volume, Home, and the Power button simultaneously until you feel any vibration. Select the Download mode and now get back to your Laptop/PC. The detection and the data recovery tool begins to scan your smartphone, and you need to download recovery package. Once the scanning process is done, Android Data Extraction tool then allows you to preview the files that you want to recover and restore from your broken smartphone. You can view all the files, folders, most prominently all the photos, videos, and media files that you want to restore. You can save the extracted files onto your laptop/system wherever you want. However, the data restoring process is a little time-consuming, but it’s as simple as that. So, if you’re satisfied with what this data extraction tool is capable of, you can then purchase it from the FORecovery website itself. The trial version is only limited to preview the restore files. 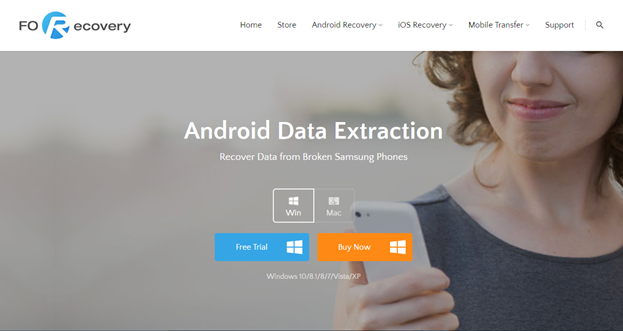 The FORecovery Data Extraction tool for Samsung Galaxy Smartphones is available for $49.95 for Windows with a lifetime license and update support. The license key is emailed to the user within minutes after purchasing the tool. It supports up to 5 different devices for data recovery and extraction using one 1 PC only. The Mac OS version is priced for $59.95 and also supports the same. 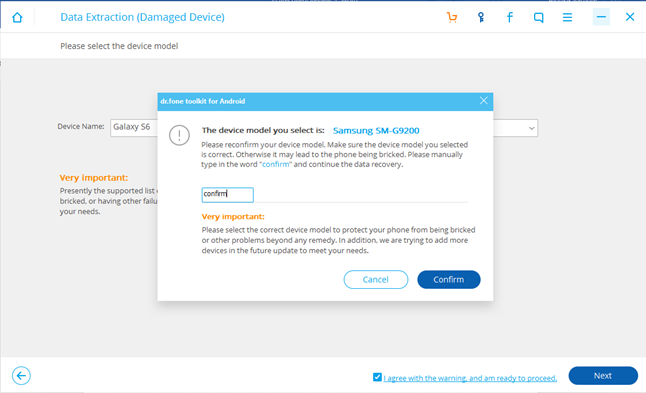 Restore Data from Broken/Damaged Samsung Galaxy Devices. Smart Algorithm to Recover Photos, Videos, and much more. So, this was my take on the FORecovery Data Extraction Software. Do share your thoughts and let me know if you’re using this tool to recover data from your Samsung Galaxy Devices or not in the comment section below. Cheers!